To compete in “The Great Cinnamon Roll Bake-Off”, please submit your recipe via email by January, 1 and deliver your finished product to One World KitchenShare on January, 13. Recipe submission opens Wednesday, November 22, 2017 and closes at midnight on January 1, 2018. To register, email your recipe to hivecontest@bloomington.com no later than January 1, 2018. A complete registration includes the full recipe and all ingredients, including name brand or source information (if available). Recipe should also include all processes and cooking times and temperatures. Recipe must be submitted by midnight, January 1, or contestant is not eligible for prizes. Participants are encouraged to register early. One World reserves the right to close registration early due to demand. Contest is open to all ages, but only one entry per person please. All entrants must register by midnight January 1st. Recipe alterations from the original are permitted but final printed recipe must be presented with the submission of the completed rolls on January 13th. One World will host a live judging with local celebrity judges on January 13, 2018 at 2pm at One World KitchenShare. To compete for the grand prize, each contestant must bring their completed recipe of 12 rolls for the judges to sample by 1pm on January 13, 2018. Refreshments will be provided. All entries will receive a Hive Honey Money (gift card) in the amount of $15. Recipe should make 12 rolls of any size, but size should be at least 3.5” in diameter after baking. 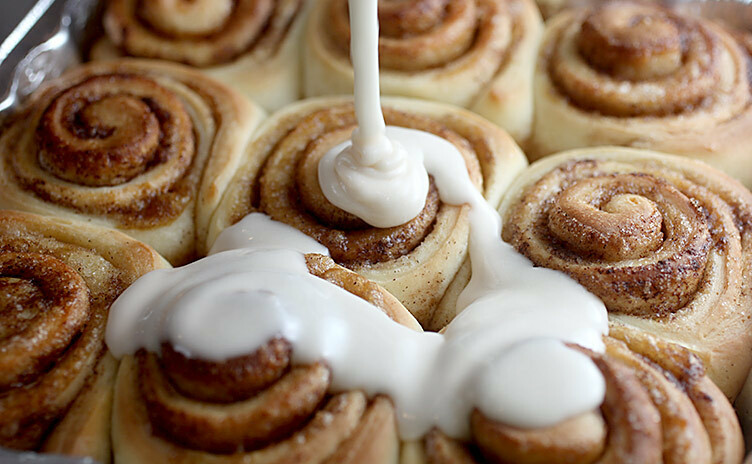 Cinnamon rolls should be scratch-made, and include at least the following ingredients: Flour, Butter, Sugar, and Cinnamon. Recipe may include other ingredients, such as spices, but should not include meat, nuts, or fruits. Fruit or vegetable purees incorporated into the dough are acceptable. Flour should be organic, if possible, and please use the best quality butter available. If using granulated sugar, please use sugar specifically marked as “cane sugar”. Most sugar marketed as “granulated sugar” is made from genetically-modified sugar beets. We are committed to use no GMO sugar in the products we produce for our restaurants. The use of local honey as a supplemental sweetener is welcome. The use of other natural sweeteners is acceptable but no artificial sweeteners are permitted. The use of artificial colors additives or shortenings containing trans-fats is not permitted. Rolls may be iced or not iced. Once submitted, your recipe can be adjusted as long as it remains in the parameters of the original recipe rules as stated above.